Today’s post is about an inspirational quote by John D. Rockefeller that is misworded and misattributed. Follow along to learn what he really wrote as well as who is spreading this false information. Here is the quote found in Random Reminiscences of Men and Events first published in 1908. Here is the title page. After surveying 120 websites featuring today’s misquote, I found the following trends. The above statistics show that websites with the sole purpose of providing quotes are the largest group propagating today’s misquote. If we combine them (38%) with the websites that provide quotes as a major part of their functionality (2%), we find that 40 percent of the websites perpetuating this misinformation are major quote repositories. Unfortunately, as my previous posts have demonstrated, this result is the norm. In short, never use quote websites as a resource for quotes. They are notoriously riddled with inaccurate information. The above statistics also show that informational websites are another major contributor to the proliferation of today’s misquote. For example, two of the websites featuring today’s misquote are specifically about John D. Rockefeller. In other words, their sole purpose is to provide information about him and him only. Because the subject matter is so narrow and specific, one would assume that all the data is fact-checked; unfortunately, this is not the case. In fact, I have encountered many informational websites which purport to be an authority on some specific topic when in reality they are not. The bottom line is don’t believe everything you read on the internet. Do not be fooled into thinking Wikipedia and Wikiquote are accurate sources for information. They are not. Today’s misquote appears on Wikiquote which cites Steps to the Top (1985) by Zig Ziglar as the source. This book was not written by Rockefeller or someone who interviewed him nor does it provide a valid source. The late Ziglar is just one of hundreds of motivational speakers/writers who cite this misquote in their books. Wikiquote is doing a huge disservice to the public by featuring quotes that are not from the original source. This is not the first time I’ve found inaccurate information on Wikiquote or Wikipedia, so reader beware. During my research, I came across 28 contemporary books featuring today’s misquote, and 10 of them are quote books. Unfortunately, most modern authors get their quotes from quote websites or quote books. The advent of the internet coupled with the rise of e-books has created an environment in which misquotes (and other false data) spread at lightning speed. The replication process is very similar to a viral infection, and it doesn’t take long for this sort of quote virus to become a pandemic. Often times the infected quote becomes so widespread that it morphs into a new “truth,” a mutant if you will. The vast majority of websites and books simply list the quote followed by the name of the person who said/wrote it. This is a red flag indicating the quote was probably not verified. A quote will have more veracity if the name is accompanied by the title of the work in which the quote is found along with applicable detailed information such as chapter, act, scene, line, stanza, etc. Unfortunately, this is not always foolproof. For example, one website cites today’s misquote from Body and Soul by Anita Roddick; needless to say, that is false. By the way, this does not mean that all quotes without detailed information are false; it just means be wary and verify. In short, if the attribution is the author/orator’s name only, don’t accept it. If source information is provided, look it up to see if it’s true. The reworded version not only changes the meaning but it contradicts itself. It explains how to be successful (strike out on a new path). In other words, to succeed, the misquote directs us not to use the “worn paths of accepted success” but to “strike out on new paths.” The contradiction is that even if you’re on a worn path of “accepted success,” you’re still on a path of success. It may be worn, but it’s a path of success. The original quote is not about how to be successful; it is about what constitutes a better way of thinking (seek out, support, or create something new). In other words, you may be on a worn path of success, but it is better to do it by creating something new. 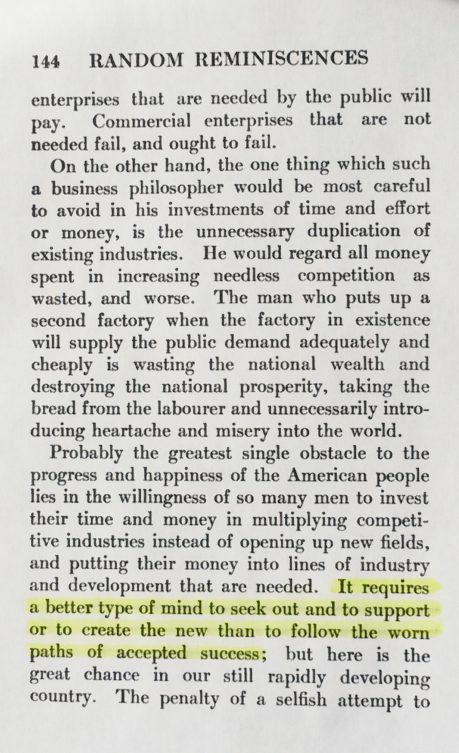 He goes on to explain that duplicating industries does not contribute to the progress and happiness of the American people as a whole and that it is a failure to the individual if s/he does not contribute to the progress or happiness of all of mankind. Basically, he is saying be successful by creating something new that benefits the world instead of duplicating an industry to make money to benefit yourself. 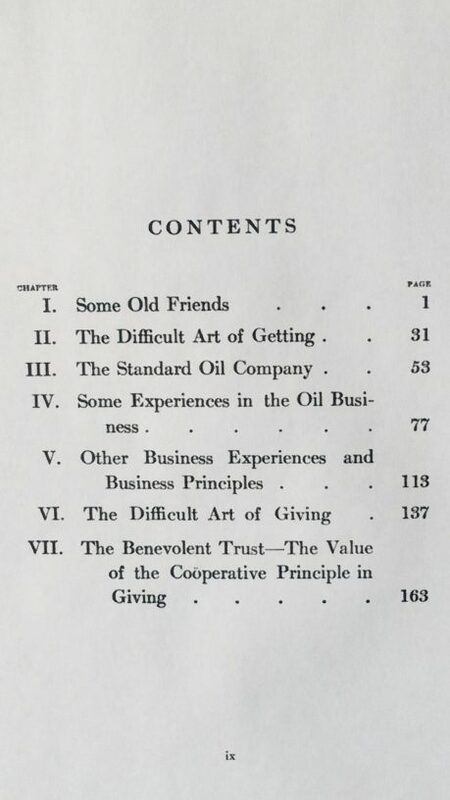 By the way, none of the misquote versions or any combination thereof appear in any of Rockefeller’s books. As of this writing, there are six generations of John D. Rockefellers. The most frequently quoted are John D. Rockefeller, Sr. and John D. Rockefeller, Jr. Today’s quote is from Senior, but there are a few quote websites that cite Junior. 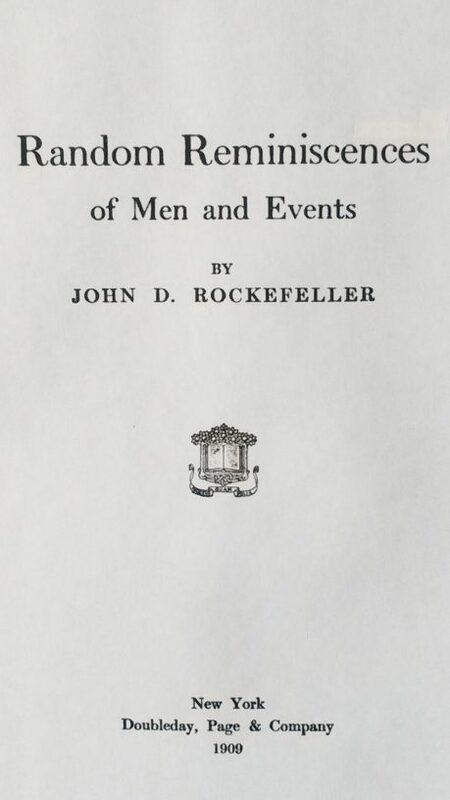 Because Senior, Junior and other namesake descendants are featured in many quote collections, it is important to specify which Rockefeller is being quoted. Today’s misquote can also be found attributed to late British entrepreneur, Anita Roddick. It does not appear in any of her books; however, I found several websites featuring an Anita Roddick quote adjacent to our Rockefeller misquote. Sometimes this is because they are listed alphabetically. Perhaps, some quote hunter misunderstood which attribution went with which quote and inadvertently posted the mistake somewhere in cyberspace where it began to spread. This is pure speculation on my part, but it is definitely a possibility. Time will tell if the Anita Roddick attribution gains momentum and becomes as widespread as the Rockefeller attribution. Stay tuned. Sadly, I found our misquote on two prominent university websites. One is an undergraduate business e-magazine, and the other is a professor’s home page. It’s always disappointing to see the quote virus spread its germs into academia. Unfortunately, there is no vaccine for the quote virus. The only way to kill this modern-day scourge is through education. You can be a part of the solution by sharing the knowledge. Forward this post to friends and family, and if you’re on Facebook, “like” my Facebook fan page. If you’re on Twitter, you can follow me @SueBrewton. Finally, remember to practice safe quoting by never using quotes without detailed original source information, and verify if source information is given. ← No, Andrew Carnegie did not write that.